Since moving to Texas, my priorities have definitely shifted. Now, I am seeing the consequences (my clothes are tight). I am no longer teaching fitness classes, I sit in front of a computer most of the day, and I am surrounded by really good food. Some weight gain was inevitable but I am trying to get back on track. My aunt and uncle are doing Keto, my mom is always watching her carbohydrates, so I figured I better start making better choices before it gets out of hand. I am walking/running with my dog after work and a quick sun-salutation in the morning. My mom introduced me to a breakfast (Light n Fit Greek Vanilla Yogurt, grain-free granola, and frozen berries) and I quit eating Cheez-Its, chips, protein bars (with lots of carbs), crackers, Whataburger (which we were eating at least once a week), and Dominos (ordered every Sunday). 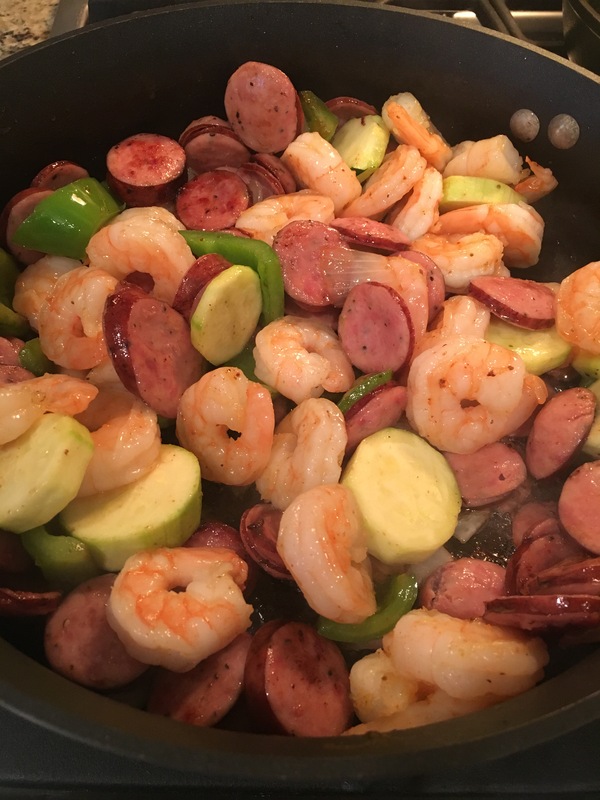 I found this Shrimp and Sausage Paleo Skillet Meal and thought I would give it a try. I did find that I did not need the chicken stock and did not use the chopped parsley or red bell pepper. I actually used fewer vegetables than suggested because I live with an anti-vegetable person (though he did eat the zucchini) and I forgot about the red pepper flakes. We both really enjoyed the recipe. My husband ate it with a side of brown rice and I ate butternut squash risotto. 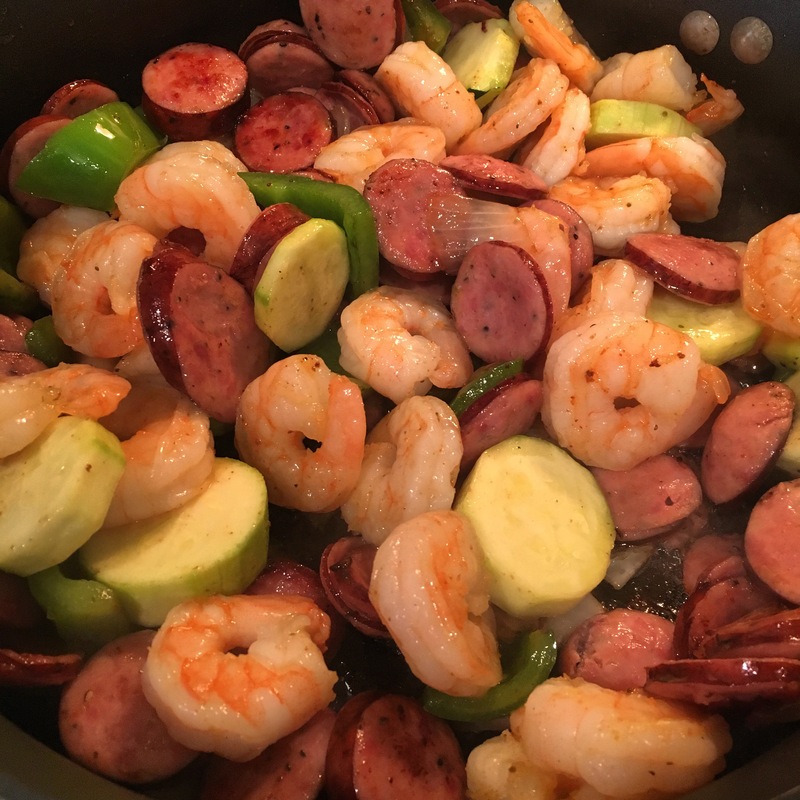 I topped the sausage and shrimp skillet with the Cholula Green Pepper hot sauce and it was delicious. Remove from heat, serve with rice or risotto, enjoy!